Keep your memories alive with DigitalFramez. Fond of keeping your memories safe? ?Then here is you are get digital picture frame to keep your memories alive and kicking. Forget those days when you used to get your photos processed after clicking.Yes zero cost of processing.Digital photo frames are the real and the best alternative to Processed Photos. Keep memories alive and flashing. Can also watch movies of various formats. Watch small clips with great sound quality. As it is correctly said "Some things in life are Priceless"
It is an online electronic store specializing in Digital Photo Frames. Affordable rates compared to other competitors. Orders are Tracked so the customer gets his shipment safe. You get a memory card free with order*. So do visit and buy Digital Photo Frames from DigitalFramez.com. Remember memories are worth storing and should always be cherished. Some features iPhone lacks ... finally revealed. There are speculations about the much awaited date"29th of June".No,Mars citizens are not arriving here on Earth,its just the lauch of iPhone.And that too not by any alien.But there are some rumours maybe true or not but very interesting. •Store managers in New York are saying that only one phone will be sold per customer, and if you want to buy another one, you'll need to get in the back of the line and wait all over again. • Numbered wristbands, in three colors, will be distributed on Friday at 5pm to those waiting in line for the iPhone, numbered 1 through 500. It was unclear whether all Apple Stores will be getting 500 iPhones, though. • One mall concierge reports that stanchions will be placed outside his mall at 6pm on Thursday, and the line will form at the mall entrance closest to the Apple Store. • Groups of 50 at a time will be let into the Apple Store, with the first group admitted into at 5:50, 10 minutes before the official launch. 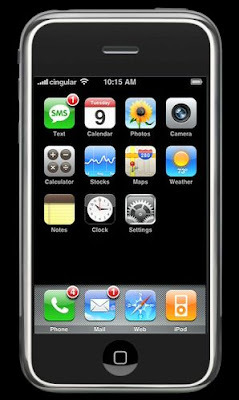 iPhone competitors are already ready with their own versions, the real truth about much hyped iPhone and its clones will be out just after its launch. LG launched the Prada which has an uncanny similarity to the soon to be launched Apple iPhone.It is just 98.8 x 54 x 12-mm resulting in a more compact, 3.0-inch display presumably with that 240 x 400 resolution.It also boosts itself with 2.0 megapixel camera.It lacks storage but has a microSD slot for expandability. It might be a good decision of LG to bring in and launch a phone similar to Apple's iPhone but it totally depends upon how much people appreciate it after the iPhone launch .Lets see how the dices roll. How about 1 TB of HDD in your desktop!! Seagate the hard-drive manufacturer has recently introduced 1TB of hard disk for desktop as well as commercial PCs.Seagate's newest hard drives pack 1 TB of data on four discs, which claims to provide super cool operating temperatures and low power consumption, which helps in an extended hard-drive life. 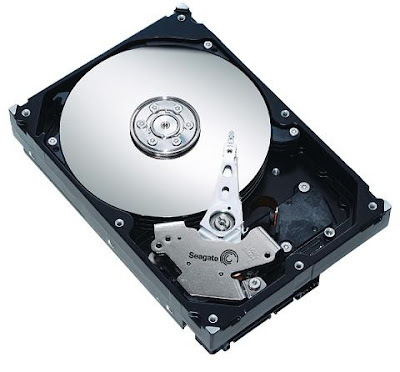 According to Seagate,the hard-disk is optimized storing rich content for a longer period of time without any hassle.The new range also features RVFF (Rotational Vibration Feed Forward) system, designed to sustain performance in densely-packed multi-drive systems. T-Mobile ,the no. 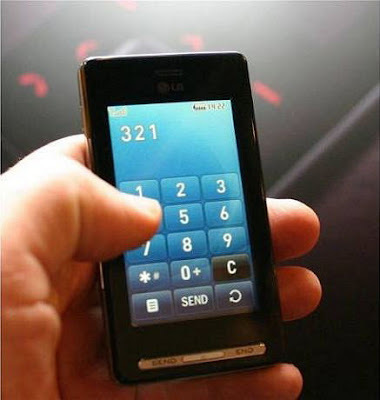 4 USA mobile service provider said that it will use nearby Wi-Fi networks to improve the reception whenever needed. The service would improve indoor coverage by automatically swapping calls from the cellular network to run over Wi-Fi, a radio technology found in most laptop computers and an increasing number of cell phones.Customers will have to shell some extra fee to avail this offer. T-Mobile's service will work with Samsung Electronics' T409 phone or the Nokia 6086. Hacker Claims to know the real plot of Harry Potter-The Deathly Hallows. A hacker named "go harry" a.k.a. 'Gabriel' claims to have hacked Bloomsbury Publishing, the publisher of the Harry Potter series of children's books, and published what he claims are the climactic portions of the plot to a security list. 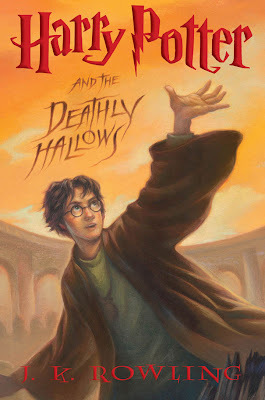 The hacker claims to have used a Trojan horse to gain access (calls as"Harry Potter zero-day") to the Bloomsbury network, and from there discovered copies of the book's text on the corporate PCs. To continue the suspense more i have coded the post and you can decode it here. Its the same as posted by the hacker. Just copy and paste the below code and there you are with the spoiler. Ibyqrzbeg xvyyrq Urezvbar. Lrf, gung'f gehr. Naq jr xarj gung 2 qnlf ntb. Guvf vf gur raq bs gur abg lrg choyvfurq (fbzrbar pbhyq pnyy gung 0qnl) obbx Uneel Cbggre naq gur Qrnguyl Unyybjf . Ng gur raq bs gur fgbel Untevq jnf xvyyrq ol Fancr va gur nggrzcg bs nzohfu Urezvbar naq Eba. Eba naq Urezvbar syrrf va cevirg qevir ohg Ibyqrezbeg, fhecevfvat gurz, ratntrq n zntvpny qhry jvgu Eba naq Urezvbar. Ibyqrzbeg nggnpxrq gebhtu gur vzcrevhf phefr naq Urezvbar, gb cebgrpg gur yvsr bs Eba svtug uneqyl sbe zber guna 6 cntrf naq gura svanyyl qvr. (obevat, irel obevat... vg'f nyjnlf gur fnzr fgbel!) Gura, gb znxr n ybat fgbel fubeg, Uneel pnzr hc, xvyyrq nyy gur onq thlf naq Ubtjnegf ntnvafg orpnzr n tbbq cynpr gb fgnl naq unir sha. Nu, v zvffrq bar vzcbegnag vasbezngvba nobhg Qenpb Znysbl, ur fgnegrq gb perngr Ubepehk (sbe sha naq cebsvg!). Gur raq. He also posted a reason for posting the spoiler. We did it by following the precious words of the great Pope Benedict XVI when he still was Cardinal Josepth Ratzinger. He explained why Harry Potter bring the youngs of our earth to Neo Paganism faith. So we make this spoiler to make reading of the upcoming book useless and boring. The attack strategy was the easiest one. The usual milw0rm downloaded exploit delivered by email/click-on-the-link/open-browser/click-on-this-animated-icon/back-connect to some employee of Bloomsbury Publishing, the company that's behind the Harry crap. It's amazing to see how much people inside the company have copies and drafts of this book.